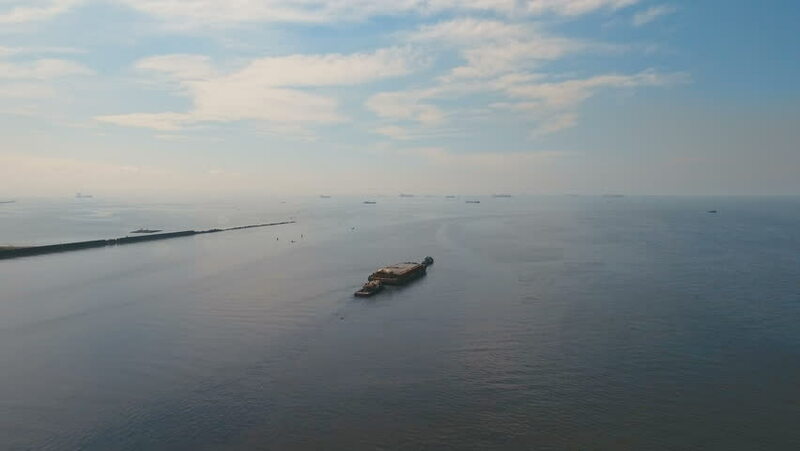 Aerial view tugboat pushes barge in the Bay of Manila.Aerial footage Tugboat and ship inside the harbor. Barge loaded with floats in the sea. 4K video. Philippines, Manila. 4k00:15Flying drone over a beautiful beach. 4k00:05Seascape with small rocks coming out of water and beautiful blue cloudy sky. Shot. Romantic atmosphere in peaceful sunset at sea.